VANCOUVERDESI.COM EVENTS BLOGPOST: Navaratri, Diwali, and a Wedding Gala! WOW!! Can you believe the end of October is already approaching? In just a couple of weeks, ghosts & goblins will take over our streets for Halloween, and then before you know it, Santa and his reindeer will be flying from rooftop to rooftop spreading Christmas joy around the world. But, for South Asians everywhere, somewhere in between falls our most important and most widely celebrated holiday. I’m talking about Diwali. Did you know Diwali is an official holiday not only in India, but also in Nepal, Sri Lanka, Myanmar, Mauritius, Guyana, Trinidad & Tobago, Suriname, Malaysia, Singapore and Fiji? Diwali is commonly known as the “Festival of Lights” and symbolizes the triumph of good over evil; light over darkness. This year, the official date for Diwali falls on Tuesday, November 13th. The 9th annual Vancouver Celebrates Diwali Festival runs from Nov. 3-10, with the main event, Diwali Downtown taking place on Nov. 10th @ Roundhouse Community Centre from 3-8pm. 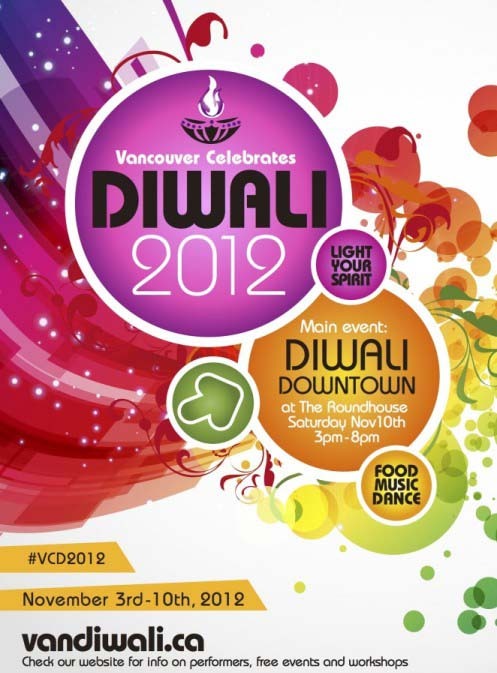 See the full details at www.vandiwali.ca. Leading up to Diwali is another fun celebration called Navaratri, which literally translates to “nine nights.” Navaratri is celebrated in many regions of India, but it is a major festival in the western Indian state of Gujarat and also in West Bengal. Navaratri started onTuesday, October 16th and will run for 9 days until Wednesday, October 24th. Here in Vancouver, the Soni Cultural Society of B.C is presenting their own Navaratri Festival. 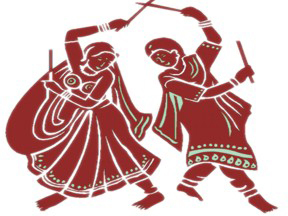 Join in for someGarba and Raas dancing with a live music group from India calledBhikhudan Gadhavi & Matangiben. Traditional Gujarati snacks and refreshments will be provided and there will also be prizes for the best costume and the best dancer! And finally, last but definitely not least, if you’re planning on getting married anytime soon I’ve got the just the event for you! The 2nd annual Season’s of Love South Asian Wedding Gala, organized by Big Phat Indian Weddings, is taking place tomorrow. Enjoy delicious food, fashion shows and door prize, all while scoping out some of the top wedding vendors in town. 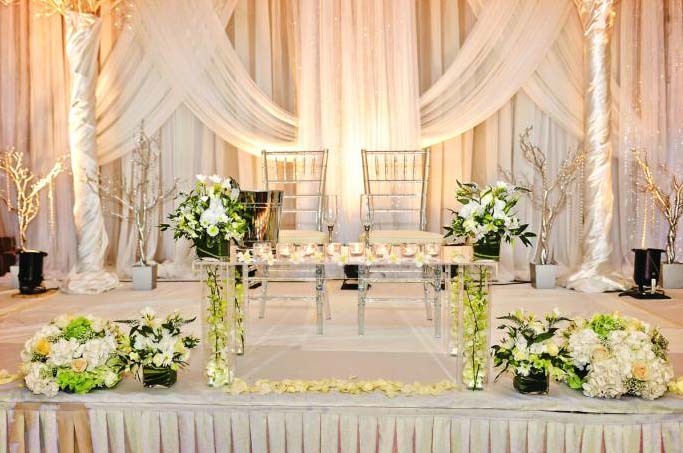 Also enter for a chance to win the $30,000 grand prize, which includes a wedding planning package from Big Phat Indian Weddings, along with a cake, mendhi, limo service, hair & makeup, photography and videography. Visit Big Phat Indian Wedding for more details! This entry was posted in Uncategorized and tagged Asian, Desi, Diwali, Events, Navaratri, South, Vancouver, Wedding Gala on October 21, 2012 by gurpsian. VANCOUVERDESI.COM WEEKEND EVENTS BLOGPOST: PICS Gala, SAFF, and Mika Singh! VANCOUVERDESI.COM EVENTS BLOGPOST: Need a good laugh? Hollywood Harv and Friends can help! VANCOUVERDESI.COM EVENTS BLOGPOST: PICS 25th Anniversary Celebration, David Suzuki speaks!